Alison Can Read: In My Mailbox (60): Week of Awesomeness! Remember my post a few weeks ago asking advice about whether I should by an iPad, Kindle Fire, or Nook Tablet? What's better than a $500 16 GB iPad? A FREE 64 GB iPad!!!!!! I struck it big at my work's end of the year raffle. I also won a $50 Amazon gift card. **I also received some of my Blogger Secret Santa gifts this week, but since I'm out of town and don't have the items in front of me, I can't remember them all. I'll post a re-cap on that later. Wow! Congrats on winning the IPAD! A FREE IPad? Wow. You really did strike it lucky! Wow. You've had one lucky week! Congrats on the iPad win!! Woohoo, that's awesome! Congrats lucky girl! I have an iPad 2 and I absolutely love it! I had a Nook Color and hated it from the moment I first started using it, but the iPad is amazing because you can read virtually any book file - can even get the books off NetGalley by downloading a free app that will allow you to read them! It's a bit bigger than eReaders, but that's a small detail that I can easily overlook. Enjoy your new toy! Wow! How lucky. Good for you. Have fun with it. Nice! I might do the secret santa next year. Money was a little tight for me this year since I didn't have a job. Now that I have a pt-temp one I'm trying to earn back my savings! My IMM will be up tomorrow morning, be sure to stop by! HOLY SMOKES WOMAN!! Congratulations!!!!!! You are going to love that thing and wonder how you ever lived without it! Best IMM ever hahahaha! Congrats on the win!! Enjoy it! Oh wow congrats! You really scored. Enjoy your new iPad! OMG, that is totally awesome! I remember when my dad went to Maryland for a conference and came back home with an iPad he won! So awesome! arent you the luckiest girl!Happy Sunday! Oh, wow ! The best thing I ever won was a laptop in a raffle and I needed it for college too ! If I won an iPad I would have been screming my head off. . . then I'd sell it for furniture or something. Wow congrats on your great prizes! 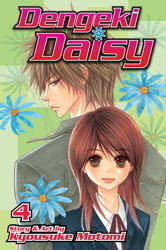 Love the Dengeki Daisy series! Whoa! Your a lucky ducky! Seriously, I think I would die :) Congrats! Enjoy your winnings! struck it big is right! good for you girl! That's irony at its best! Congrats. I haven't read Denkegi Daisy, but I've been wanting to. I'll probably try to read by interlibrary loan. Care to check out my IMM this week? Amazing! 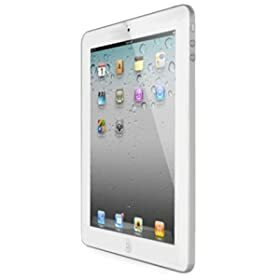 I won an iPad at my work's holiday party last year and I absolutely love it! Enjoy! Congrats on winning the IPAD 2. I love my IPAD 1. I do so much on it. You deserve it honey. Think of it as an early Christmas gift. Oh well done Alison. YOu won big! Hot damn, that's one heck of door prize! Enjoy! OMG that is so great. Now you get to spend the $500 you had originally intended to use for the iPad to buy yourself something else, or spend it on books, Ha! I'm sorry we missed each other yesterday. Maybe some other time when you're in Utah or when I come to Sacramento (don't know if that will happen, lol). I hope you have had a great time while you're here and I hope you travel home safely. Woah, congrats on the iPad! That's so awesome! You got an IPAD!!! I'm soo jealous. I want one so bad! Hope you enjoy it! And I haven't heard of that manga before. It looks interesting, so I may have to give it a try. HOLY SHIZ! I wish my work had awesome raffles like that! Lucky you!!! I hope you enjoy it; I've got my eye on an iPad also. Wow! That is AWESOME!! Enjoy your new Ipad. Season's Greetings and best wishes for the New Year From Books Paradise. That is a true Oh Em Geeeee moment, dude!!!! That is awesome! Good things come to good people. Enjoy!